Patricia has been practising family law in Norwich for nearly 25 years (she considers she was a child prodigy!). 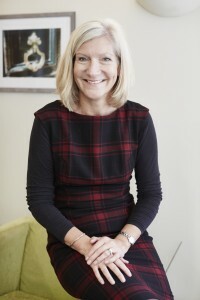 Patricia was one of the first family lawyers in Norfolk to train as a family mediator in 1997 and established a busy family mediation practice immediately on qualifying which has gone from strength to strength over the years. Patricia now mediates on a wide range of issues, financial and children, including sensitive and complex court referred work. Patricia enjoys the combination and challenges that the varied practice at bbl brings, moving between family mediation, collaborative law and conventional legal work to help resolve the issues that arise on the breakdown of a relationship in the most measured and sensible way possible. She may also admit to some secret accountant tendencies, taking a strange enjoyment from the day to day finance management in the firm! Patricia believes her strengths are dealing with people in a sensible and calm matter, looking to find practical and workable solutions in a cost effective and pragmatic way.